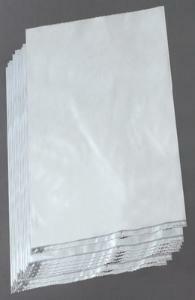 Find a multitude of uses for these bags in the laboratory and field. Made from clear, “lay-flat” polyethylene, these bags resist moisture, acids, alkali, embalming fluids, and most solvents and preservatives. The bags can also be heat sealed.